With 72% of internet users looking for health info online1, there’s no question patients turn to the internet to find a doctor or watch how a procedure is done. Let your website be the source of that information. Make sure your website provides the information and the videos that patients are looking for. 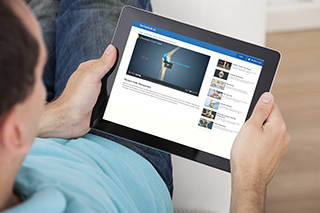 Video content allows your patients to better understand a procedure and improves patient satisfaction. Like anything, your expectations directly influence your overall satisfaction. It’s the same for your patients. If patient expectations are set realistically and their expectations are met, they’ll be more satisfied with the result. And an important factor in managing those expectations is knowledge. When they understand the procedure and know what to expect, they tend to feel more comfortable and will be happier with the outcome. Add videos to your website today. Your Practice Online offers hundreds of 3D animations for 13 surgical specialties. All of our educational movies play on all platforms and mobile devices, and they feature animation and narration to help make difficult surgical procedures easy for your patients to understand. 1. Pew Internet Project, 2013.